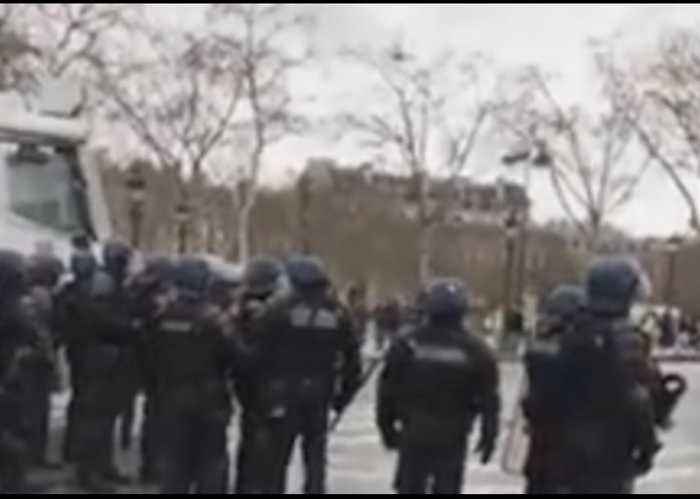 Riot police used water cannon to disperse protesters on the Champs-Elysées, near the Arc de Triomphe, in Paris, France, on Saturday, March 2, video shows. 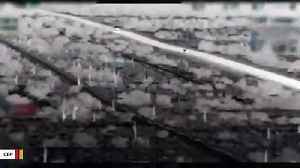 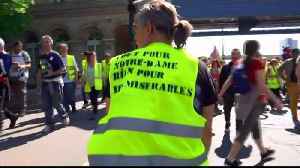 Footage streamed live from the French capital recorded police actions as they advanced up the avenue towards the Arc de Triomphe on Saturday, spraying Yellow Vest protesters with water. 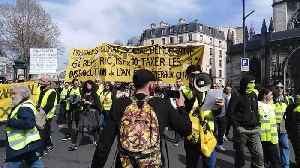 Saturday’s protests, known as Acte XVI, were a continuation of weekly demonstrations against the fiscal policies of French President Emmanuel Macron and his party. 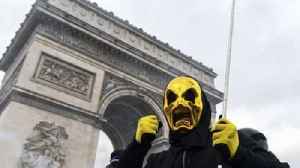 An estimated 39,000 protesters took to the streets nationwide for the 16th consecutive weekend, according to Le Figaro. 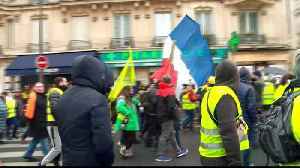 Four thousand people were said to have marched in Paris, and 28 people were reportedly arrested over the course of the day. 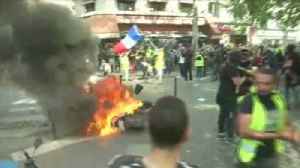 Flares were thrown and dozens of motorbikes and cars were set on fire as riot police fired tear gas at protesters in Paris. 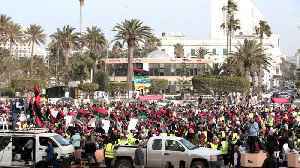 Huge crowds of demonstrators, numbering a million according to police, took to the streets of Algeria’s capital, Algiers, on Friday, March 29, in renewed protests against President Abdelaziz.. 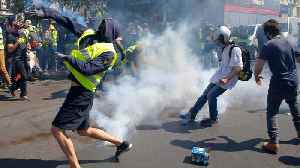 Tear gas and water cannons have been fired at anti-govt protesters in Paris on their eighteenth weekend of protests. 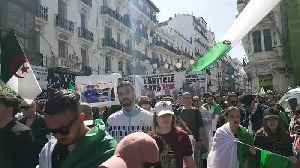 Albanian police have fired tear gas and used water cannon in an effort to disperse protesters trying to break into parliament.